Happy Wednesday! I can’t believe we are more than halfway through May! Time sure does fly! It’s the time of year where most of us have weddings to attend so I decided to start an installment on the blog called Wedding Wednesdays. I have photographed many weddings and have seen MANY do’s and don’ts so I decided to share some dresses/looks that I think are perfect and appropriate to wear as a wedding guest. First up is this coral floral beauty from ASOS! It has a beautiful bright color and shape! I love the layers of tulle that give it that ladylike shape. 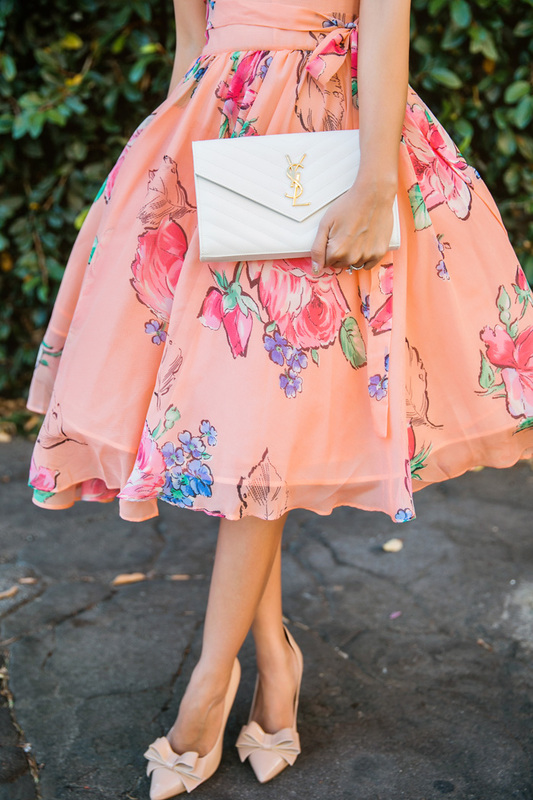 This type of dress would look great when attending a garden or outdoor wedding. It’s fun and bright without stealing too much of the bride’s thunder ;). Beautiful… hair! 🙂 Great pics. LOVE the idea of Wedding Wednesdays! 🙂 Any ideas for a fall /winter wedding?